I am an evolutionary-minded social psychologist studying the human sociality. I use both experimental methods and theoretical modelings for investigating the problem of human cooperation, the wisdom of crowds and the evolution of cumulative culture. I joined Max Planck Institute for Evolutionary Anthropology, Department of Human Behavior, Ecology, and Culture as a visitig research sceintist. I will stay here until the end of Februrary, 2020. I gave an oral-presentation at the 2nd Cultural Evolution Society Meeting, Tempe, USA. Takezawa, M., & Nakata, S. "Does teaching promote the cumulative cultural evolution? 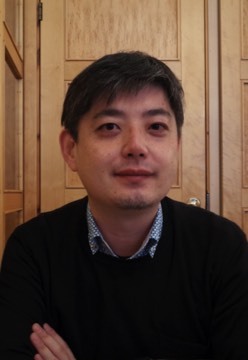 : Agent-based simulations with computational models of teaching "
I gave an oral presentation at Alife2018 in Tokyo on Experimental studies on the cumulative cultural evolution of technologies and arts (co-authored with Masaki Suyama). I gave a presentation at Perspectives on Prehistoric Cultural Evolution: From Archaeology to Behavioral Experiment. Japanese translation of A Cooperative Speceis: Human Reciprocity and Its Evolution by S. Bowles & H. Gintis will be published from NTT publishing. I supervised the translation together with Hisashi Ohtsuki, Nobuyuki Takahashi, Misato Inaba and Ayaka Hatano. Scientific Reportsに論文が掲載されました：Horita, Y., Takezawa, M., Inukai, K., Kita, T., & Masuda, N. (2017). Reinforcement learning accounts for moody conditional cooperation behavior: experimental results. Scientific Reports, 7, 39275. I organized the symposium on Cultural Evolution: Applying the Darwinian perspective for Understanding the Micro Foundations of the Macro-Level Dynamics of Cultural Change with Hisashi Nakao, Kohei Tamura and Peter Richerson at IACCP 2016. Shuhei Tsuchida and Yutaka Horita also gave poster presentations. I organized a themetic session on "Thinking the role of independence and interdependence in the wisdom of crowds" at The 31st International Congress of Psychology, Yokohama. Yo Nakawake, Yutaka Horita, Toshimasa Kita gave presentations. Plos Computational Biolotyに論文が出版されました：Ezaki, T., Horita, Y., Takezawa, M., & Masuda, N. (2016). Reinforcement Learning Explains Conditional Cooperation and Its Moody Cousin. Plos Computational Biology, 12(7), e1005034. I assumed an editor-in-chief of Letters on Evolutionary Behavioral Science, an official journal of Human Behavior and Evolution Society in Japan. Scientific Reportsに論文が出版されました：Horita, Y., Takezawa, M., Kinjo, T., Nakawake, Y., & Masuda, N. (2016). Transient nature of cooperation by pay-it-forward reciprocity. Scientific Reports, 6, 19471. I gave presentations at the 16th International Conference on Social Dilemmas (title: Neural Mechanisms Underlying Indirect Reciprocity: Empathy and Reward Calculation ). Shuhei Tsuchida also gave a poster presentation (title: Testing logical validity of the concept of relational mobility by agent-based computer simulations ).